Registration is open for the Region 5 Society of Professional Journalists Conference Friday and Saturday, March 27 and 28, at the Galt House in Louisville. Host Louisville Pro Chapter members have planned a full day of sessions Saturday for students and professionals with topics such as investigative reporting, diversity in newsrooms, social media, funding projects with Kickstarter and freelancing. An opening reception is set for Friday evening. The conference will take place in the heart of booming downtown Louisville, just a few blocks away from nightlife and fun for conference attendees. SPJ National President Dana Neuts will present the Mark of Excellence Awards following Saturday’s luncheon. The registration site ( https://spjregion5.eventbrite.com ) also offers the option to pay national dues at the same time as registering – and at a significant cost saving in comparison to attending as a non-member. To make reservations, call the Galt House at 800-The-Galt (800-843-4258) or 502-589-5200. Special room rates are reserved under name “Society of Prof Journalists” at $145 single, $155 double, $165 triple and $175 quad. The Galt House is located on the Ohio River at 140 North Fourth St., Louisville KY 40202. For more information contact Louisville Pro Chapter President Robyn Sekula at robynds@live.com or Region 5 Director Deborah Givens at deborah.givens@eku.edu. 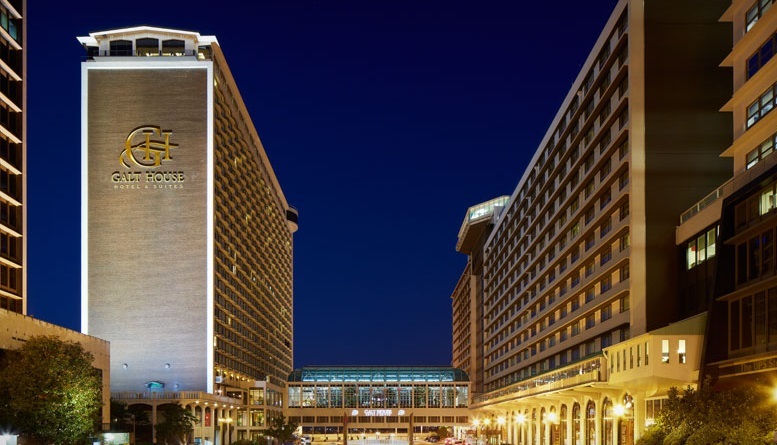 The holidays and end of the year always bring busy schedules, but please take time to look ahead and mark your calendars for the 2015 Region 5 Conference scheduled for Friday, March 27, to Saturday, March 28, at the Galt House in Louisville, Kentucky. President Robyn Sekula and the Louisville Pro Chapter are hosting the conference. We want your proposals for programming. Plans are for 12 programs, three per session with two sessions Saturday morning and two sessions Saturday afternoon. A variety of programs are sought to serve students and pros on a wide range of topics. The sessions may take any form from presentations to panels to workshops and focus on topics from diversity to technology to current issues impacting journalists. Not interested in presenting but have an idea for a topic you would like to see on the program? Send us those ideas, too. Send your ideas to Region 5 Director Deborah Givens at deborah.givens@eku.edu. If sending an idea for a program, just include the topic and any particular types of information in which you are interested. If submitting a program in which you will participate, send title, a brief description and speaker(s) list. Watch for more information on the Region 5 blog and through emails regarding registration, Mark of Excellence submissions and other conference news. 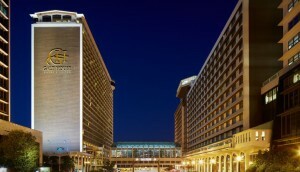 The SPJ Region 5 Spring Conference will be held April 13-14, 2012, at the Marriott Indianapolis Downtown. Room rate will be $99 per night plus tax. Details on how to reserve a room and register for the conference will be available in mid-December. If you have program suggestions for the conference, please email them to Heather Dunn at hdunn@spj.org. The early bird deadline for the Regions 4-5 Spring Conference at the METS Center in Erlanger, Ky., April 1-2, 2011, has been extended until the end of the day Wednesday, March 9. Through Wednesday, student SPJ members can register for $50 and pros for $70. After that, the prices go up. To register, go to this site: http://spj2011.eventbrite.com. An update: the media tours on Friday afternoon are full. The conference opens with a reception from 6-8 p.m. Friday at the conference hotel. Saturday’s program begins with regional meetings at 8:30 a.m., followed at 9:30 by keynote speaker Jonathan Katz, who covered the Haitian earthquake and its aftermath for the Associated Press. Mark of Excellence awards will be presented at a noon luncheon. The day is packed with useful sessions for pros and students alike on a wide range of topics, including legal issues, getting a job out of college, ethics, turning your beat into a book, using social media legally and ethically, protecting journalists in hostile hotspots, covering the Comair crash in Lexington, freelancing, Google for journalists, iPad for journalists, website roulette, and why students should study journalism. There will also be a critique session for students. The conference concludes at 5:30 p.m.
Join other journalists from Region 5 in Chicago March 26-27 for our spring conference. Meet new people, network and hear some of the industry’s best and brightest on topics ranging from Freedom of Information to emerging technologies. The event will kick off on Friday, March 26, with a reception at the Loyola Water Tower Campus Atrium. You won’t want to miss this opportunity to meet conference participants and start networking in advance of Saturday’s professional development sessions. Saturday’s professional development sessions will also be held at the Loyola Water Tower Campus. The day will be filled with professional development programs to strengthen your career and advance your skills. After lunch is served at the Mark of Excellence Luncheon, we’ll honor the 2009 Region 5 Mark of Excellence Awards winners. Please contact Heather Porter at SPJ Headquarters with any questions about the event. A special thank-you to Loyola University Chicago (Downtown Water Tower Campus) for their in-kind donation of meeting space. The event will be co-hosted by the Loyola University Chicago student chapter of SPJ. Light hor d’ oeuvres provided. The cost of the reception is included in your registration fee. Fee includes Friday night reception and continental breakfast & MOE lunch on Saturday. You are currently browsing the archives for the Spring Conference category.